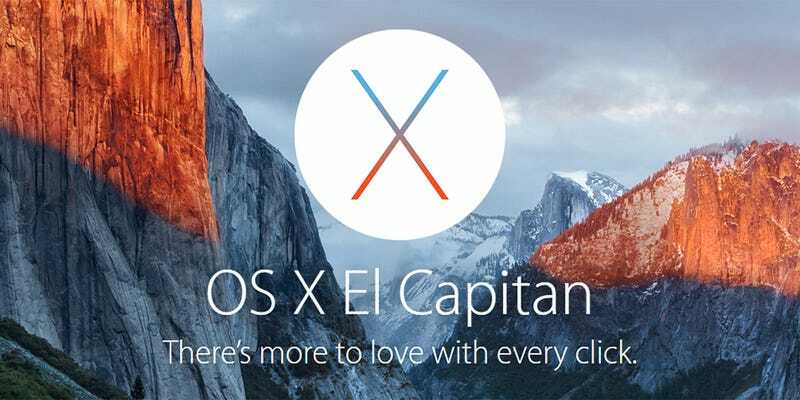 Apple’s latest OS X 10.11 software is out of beta and available as a free upgrade for your Mac later today. To help you find your way around the latest release from the coders in Cupertino, we’ve compiled a guide to the key features that are new this time around (besides some speed and performance improvements): From skipping the Trash folder to running natural searches in Spotlight, there’s plenty to try out. El Capitan apes Windows with a window snapping feature that helps you get applications quickly positioned on screen (it’s also similar to the split view feature available for iPads in iOS 9). Either click and hold the green zoom button of a window and then drag it into place, or head to Mission Control (F3) and drag the relevant windows into the same thumbnail at the top. Spotlight now accepts natural language searches to make it easier to find the information or files you’re after. What is a natural language search? Try entering “weather for tomorrow” or “spreadsheets about money” to get an idea of what’s possible. Another minor tweak means you can now move and resize the Spotlight window anywhere you like on your screen. With so many photo apps relying on the location metadata stored with your pictures, it makes sense that OS X can now edit geotags from inside El Capitan as well as various other bits of metadata. When viewing a picture in Photos, click on the info button and then click and drag the location pin to a new spot. Choose Assign a Location if there isn’t one already. Before El Capitan arrived, you had to share your entire browser window if you wanted to send an online video to an Apple TV via AirPlay, but now you can send the video on its own—inside Safari, click on the AirPlay button at the bottom of a YouTube video and pick your device. It should work with YouTube right away with support for other services coming soon. Apple updates its own apps with its OS and that means a bunch of extra new features to talk about. Safari now includes the ability to pin browser tabs to the left-hand side of the tab bar for easy reference— just click and drag a particular tab to the left. Tabs that are making a noise display a speaker volume icon and you can quickly click on the same icon to mute them. The Notes app in iOS 9 was given a recent overhaul and it’s the same in El Capitan too—it’s now possible to create checklists, import maps and photos, add some extra text formatting to your notes and more besides. It’s not quite up to the level of Evernote yet but the changes are welcome nevertheless, and they bring notes up to speed with iOS 9 and iCloud on the web. As with Notes, Maps gets an upgrade to match iOS 9, and the most significant new feature is support for public transit directions (albeit limited to a handful of cities for the time being). When you’re working out the directions between two different places, click on the Transit button and Apple Maps gives you a list of options to choose from (click Details for step-by-step instructions). The Mail app in El Capitan gets a number of upgrades and new tricks as well: In full-screen mode you can temporarily dismiss emails to the bottom of the display, for example, and (as in iOS) you can swipe with two fingers on items in a list to take action on them. Mail is also better at notifying you when it spots contacts or events in messages you might want to do something with. Some users prefer the security and finality of being able to delete files without the halfway house of the Trash folder—it’s a feature that’s been in Windows for a long time—and you can permanently delete files in El Capitan by pressing Option+Cmd+Delete. Alternatively, select the files, hold down the Option key and then choose Delete Immediately from the File menu. Apple’s Craig Federighi took great pleasure showing this one off on stage at WWDC back in June, and while it may not be the El Capitan feature to grab the most headlines, it’s like to be one of the most useful. Move your fingers quickly on the trackpad or shake the mouse quickly and the cursor grows in size so you can locate it on screen (very handy for those hi-res displays). It’s hardly going to change your life but Mac OS X 10.11 now lets you auto-hide the menu bar at the top of the interface in the same way as the dock at the bottom (or the side), giving you more room on screen. Go to the System Preferences screen on the Apple menu, open up the General heading and tick the box marked Automatically hide and show the menu bar.